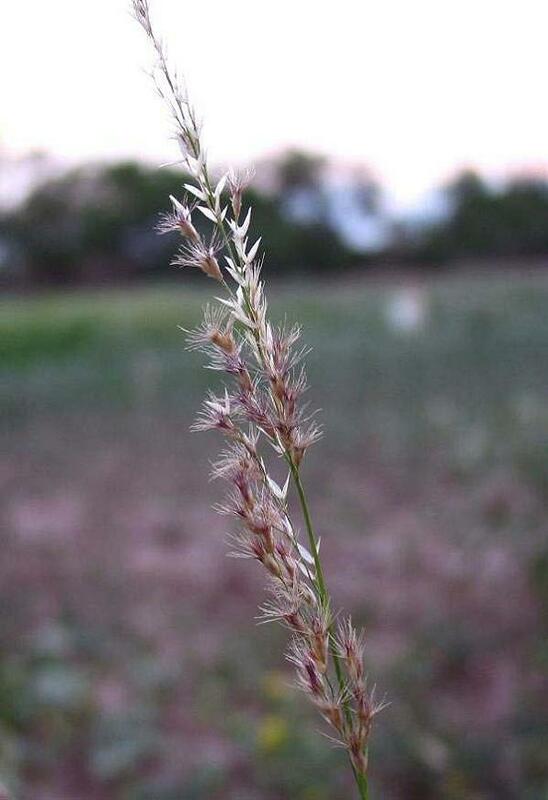 Maverick Pink Pappusgrass was developed from 7 populations from the South Texas Plains. Its diversity of uses include livestock forage, wildlife cover, retired cropland restoration, and ornamental plantings due to its deep green color with pink hued seedheads. Pink pappusgrass is a co-dominant bunchgrass found on a variety of soils in the region. Good forage for livestock and cover for wildlife. Useful in diversifying invasive monocultures. Coloration also provides wildscaping and ornamental value. Planting: Plant in late August-early October at a rate of 4 lbs. pure live seed (PLS) per acre at a maximum depth of 1/4 inch. Soil: Gravelly loam, clay loam, and sandy loam. Well adapted to saline soils.